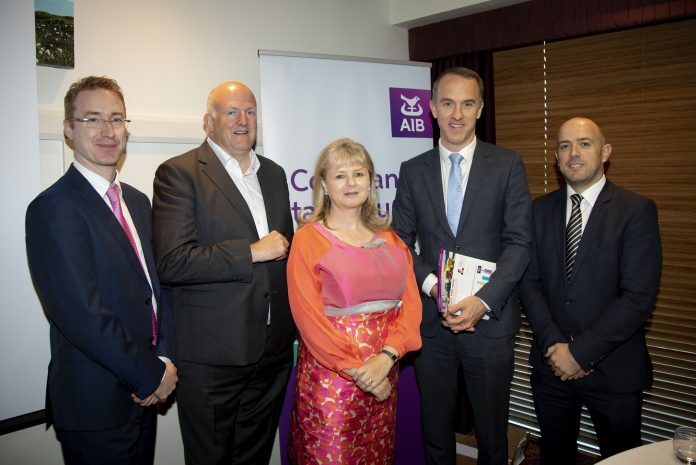 Speaking at the recent launch of the 2018 edition of Allied Irish Banks Transport & Logistics Report, Robert Quill, who is head of Transport & Logistics Retail and Business Banking stated that in the last year, the growth in on-line retail transactions in Ireland had been in the order of 25% in volume and 24% by spend. The calculated €48 million on-line spent, amounts to approximately 11% of all Irish retail sales. In the UK, on-line now accounts for 16% of retail sales. Speaking at the same event, Garrett McClean of CBRE Ireland said that, despite the upsurge in demand for high-quality Distribution Centre capacity in the Dublin region, the actual take-up in 2017 at 249,000 square metres was slightly less than the 2016 figure. The shortfall, estimated at about 86,000 square metres, has led to significantly increased rent pressure with the figure passing the €9.50 per square foot tipping point at which it is attractive for developers to put in extra capacity on the M7 corridor and in the wedge between the M1 and M2. John Tuohy, founder and CEO of Nightline Logistics, until its sale to UPS in 2017, spoke about the opportunities and threats that this huge surge to on-line shopping presents to those involved in the logistics industry, particularly in the parcels and Business to Customer (B to C) sectors. He said that, at present, 70% of e-commerce goods bought in Ireland are sourced from outside the country and that 70% of those come from the UK. In a post-BREXIT situation, this would mean that most items will have to be declared to Customs and may be subject to VAT and Excise Duty. This will lead to a requirement for personnel with Customs Clearance expertise and for bonded warehouse facilities. He also spoke about the increasing dominance of Amazon in the sector and that company’s move to self-handling its supply chain.